Aboriginal hunters and members of wildlife management boards are in Whitehorse this week, talking about how traditional knowledge can be better incorporated into scientific research. The Yukon government hosts the Yukon North Slope Conference every three years, in partnership with the region’s Wildlife Management Advisory Council. 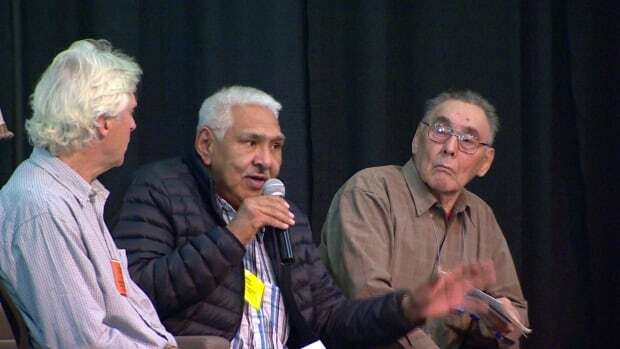 One panel at the two-day conference gathered Inuvialuit harvesters from the Mackenzie Delta region of the N.W.T., who discussed their experiences with scientists and research teams. Some had good things to say — while others described a confusing and sometimes insulting process. Billy Archie of the Aklavik Community Corporation said he’s often had to re-explain his knowledge of arctic char, as many different biologists — working for government or universities — come and go from the region. Douglas Esagok, an Inuvik-based director with the Inuvialuit Game Council says some academic researchers often visit communities only once. “They come and they go and you never see them again. It’s a flash in the pan,” Esagok said. The Yukon North Slope Conference is not looking only at the relationships between communities and visiting researchers. There’s also a larger issue being considered — how traditional knowledge, a term which encompasses family stories, first-hand observation and even stories told over multiple generations, can be incorporated into scientific research. Brenda Parlee, an assistant professor with the University of Alberta’s department of Resource Economics and Environmental Sociology, says there’s often a disconnect between the scientific community and the northerners whose lives and environment they study. “A lot of traditional knowledge has yet to be documented in a format where it’s easily included in decision making,” Parlee said. Parlee argues that traditional knowledge is scientifically valid and deserves more consideration. “People have been hunting in the same places, watching the same kind of indicators, doing the same kind of land use activities for generation after generation after generation,” Parlee said. Randall Pokiak, a harvester who helped negotiate the Inuvialuit Final Agreement, said the relationship between scientists and aboriginal communities is ideally a two-way street. He said science can help explain what traditional knowledge cannot. This entry was posted in News and tagged Aboriginal, conference, Indigenous Knowledge, Science.